Pixiewps is a tool written in C used to bruteforce offline the WPS pin exploiting the low or non-existing entropy of some Access Points, the so-called "pixie dust attack" discovered by Dominique Bongard in summer 2014. It is meant for educational purposes only. As opposed to the traditional online bruteforce attack, implemented in tools like Reaver or Bully which aim to recover the pin in a few hours, this method can get the pin in only a matter of milliseconds to minutes, depending on the target, if vulnerable. Only One Question. is this work with Broadcom Chipset Too or still it only works with ralink Chipset Only ?? Modified Reaver Not Showing Publick Key (pke)..
you can get it out M1,M2 messages in wireshark. there's also tshark.sh script that can grab it for you. I forgot where I got it, I think it was part of wpsoffline tool download. but make sure it's all part of one conversation (pin attempt). I just make the reaver to test one pin at a time and capture. Did you install the new reaver? Check out the YouTube video. You don't need wire shark at all. @wn722 Which one is Pke exactly from This ?? Last edited by FurqanHanif; 2015-04-03 at 13:42. Did you move reaver to bin after you compiled? Before trying the tool i really want to say to you " thank you so much wiire!" We can see that it comes form the heart and that it must have been a "pain in th-censurde-ss" at some points. Thank you so much wiire! i think it overwrite the existing Reaver ( because existing reaver not showing the enrolle/E-HASH stuff but installing modified reaver showing enrolle/E-Hash stuff but not showing PKE).. :/ So i think their is no need to copy reaver in Bin..
See if it compiles and creates the executable. Then try to run it from that folder (no make install). Can you go into some detail as there is a lot of censored information in the OP? Does this run similar to reaver? Does this automate the extraction of the required information from wireshark? Maybe a usage example would be helpful, as I did not see one. It's really not that hard to install. We told you exactly what to do. If you can't copy the executable reaver to bin, you shouldn't be using Linux. i Copy that Reaver file to bin Getting Same Output , Started reaver from That Compiled Directory still Getting Same Output , tried tshark it also not Showing Public key like thing. Now What ?? hey just wanted to say thanks again for releasing this seems to work pretty good for me...one thing i noticed is on some routers the model# shows up as 123456 kinda curious as to why that is...also i just noticed the vid soxrok2212 put up last night has been taken down was that ya'll or youtube? Just that I didn't updated my kali for a while and i tryed to install it without updating first and I got a fail. , I don't know if it was usefull. Quick question, do you have to specify small dh in reaver to use the S flag in pixiewps? Hah! That was quick! I'll see if I can test this later on. Awesome work wiire, so far this seems to work great. This will only show you how to quickly find the five(5) variables required. The modified reaver obtains three(3) of the five(5) variables. The only other problem is finding the corresponding or paired --pke and --pkr in wireshark. After you have put your wifi device in monitor mode. 3. Select Interface and choose your capture interfaces. When you hit enter the wireshark screen may go blank as it filters the output. 8. As reaver obtains M1 and M2 data only these lines will appear in wireshark. 9. When you have collected enough data stop reaver and wireshark. 10. Copy your reaver output from the terminal window and save it to a text file. You will need it latter. The N1 Enrollee Nonce links the output in reaver to the correct M1 and M2 packets in wireshark. The --pke is located in the WPS M1 packets. You can use this packet in wireshark. 16 Click on the Pubic key, then right click, select copy, follow the > to the right, select value. The --pke value is now on the clipboard. Copy it to a text file. 18 Again make sure the Enrollee Nonce is the same and copy the Public Key from the M2 packet. Do not confuse the Registrar Nonce with the Enrollee Nonce in the M2 packet. You now have the paired --pkr hex string. As long as the enrollee nonce is the same in both reaver output and wireshark M1 and M2 you have picked the right packets in wireshark. Put the five(5) variables in your pixie dust program and try your luck. Video is back up in full HD just search "WPS Pixie Dust" on youtube and you'll find it. Awesome work soxrok2212! I have been playing with this for some time now, unfortunately I only have BCM* based chipsets available for testing, and have had 0% success. Models range from D-Link DSL2 series, Netgear WDNR series, and Linksys E series. Very awesome work just the same though, and a whole new era for WPS auditing. Let me know if you would like any of the results I have capture for analysis. I don't know which version of the modded Reaver you are using. The description of the youtube video contains the latest (download). It prints all the info needed (see the '[P]' tag) apart PKR which can be gathered in the M2 message (under Public Key), or can be avoided if the -S option is specified in both Reaver and Pixiewps. This option is used only to "ease the burden of a 10 seconds copy and paste work". While I was still working on the program I made a tutorial on another forum to print some information not all (Authkey, E-Hash1, E-Hash2) with the ' > ' tag at the beginning of every print. So maybe you guys are using the 'old version'? Changing topic, Bongard tweeted my tool.
. So is This Normal . Should i continue with This ?? Router Chipset is BroadCom..
in Wireshark Public key in Both M2 Message is . So is This Normal . Should i continue with This ?? Router Chipset is BroadCom..
You get PKR = 00:00 ... 00:02 when using the '-S' ('--dh-small') option on Reaver. You can use the same option on Pixiewps so you don't need to specify the PKR. Fixed the dependency issue. Should compile fine now on Ubuntu and derivatives. thank you for making this tool, it's not working on Technicolor APs i hope it will, because in my country (Morocco) 75% of the APs are Technicolor LoL! Nice work wiire and all involved ! Sweet! I can confirm you that a friend had the same issue yesterday with ubuntu and that the modification solved the issue. In the name of canonial addicted (no one is perfect) thanks! as i was using reaver_mod and pixiewps.c i was wondering about this two options in the reaver mod and how to "play " with them "smartly" with pxiewps. So if i understand well we could use them to try with pixiewps different seeds values then the one predefined for ralink and brodacom. Could you tel us know a bit more about this? Other thing that i was curious about. If i get in two different sessions the same nounce repeated, wouldn't it mean taht the entropy is very low also on this particular AP? Tested with UK Sky router Sagecom SR101 - WPS pin not found! Off to find some more to test! use the pcap file and run it through tshark.sh script = that'll extract the HW info. Last edited by wn722; 2015-04-06 at 02:49. This worked so well for me...WOW. So WPS has been broken completely. I did a couple of captures, and noticed in WireShark that when you have a successful attempt, the relevant part of the M2 packet will be marked with light blue. I think that's what it was, anyway... I was thinking it signified a successful capture of what it needed, as it listed an ",,,R,F,C" on the good one, and only an ",,,F,C" on the fails. It took 0 seconds to crack, by the way. You're brilliant. Where can I find a link to tshark.sh? I don't undertand what you're trying to say here. Ralink doesn't have a seed. It doesn't use a pseudo-random number for ES-1 and ES-2. It uses a constant (ES-1 = ES-2 = 0). Broadcom has a pseudo-number generator. Its seed (for ES-1 and ES-2) can be bruteforced using the nonce as a reference: when using a certain number (initial seed) we get the same sequence of the nonce we know that we can find the ES-1 and ES-2 sequences because they're calculated right after the nonce. The PIN is provided by the Registrar (the attacker) on M4 and it's not relevant (for the pixie dust attack purposes). Quoting Bongard: the right PIN is provided by the Enrollee (AP) with M3 in two "Safes". The first one contains the first half of the PIN and it's lock combination is ES-1. The second one contains the second half of the PIN and it's lock combination is ES-2. The attack consists in bruteforcing the seed of the Broadcom's PRNG to get the two combinations (ES-1 and ES-2). If you look on page 55 on Bongard's slides. - "do not generate new random enrollee nonce in case of we have prebuild enrollee nonce"
- "It should not generate new key pair if we have prebuild enrollee nonce"
So on some implementations the nonce and the the keys don't change in different sessions. This is not about entropy, it's about vendor/manufacturer's implementations. Hello! I want to know whether this attack is limited to the known vulnerable chipsets, or if it can be used on more routers if more research is done ? This attack worked on Arris models TG1672 and DG1670. Modified reaver spits out info needed for pixiewps. wps pin in secs. This attack could be potentially extended to more routers if more research is done. There are some other manufacturers that have not been checked yet (like Marvell, Intel, Qualcomm, Realtek...). Also, good entropy on embedded systems (with limited resources) is always a problem especially at boot. The devices that are not affected are probably the ones which use hardware random number generators. Also systems running Linux / Hostapd seem secure. I have nearly zero experience with this kind of stuff, so if you wanna jump in, do it. Anyone can contribute. I can't install pixiewps. I get this error when I type "make" in its src directory. did you install the development libraries for openssl? 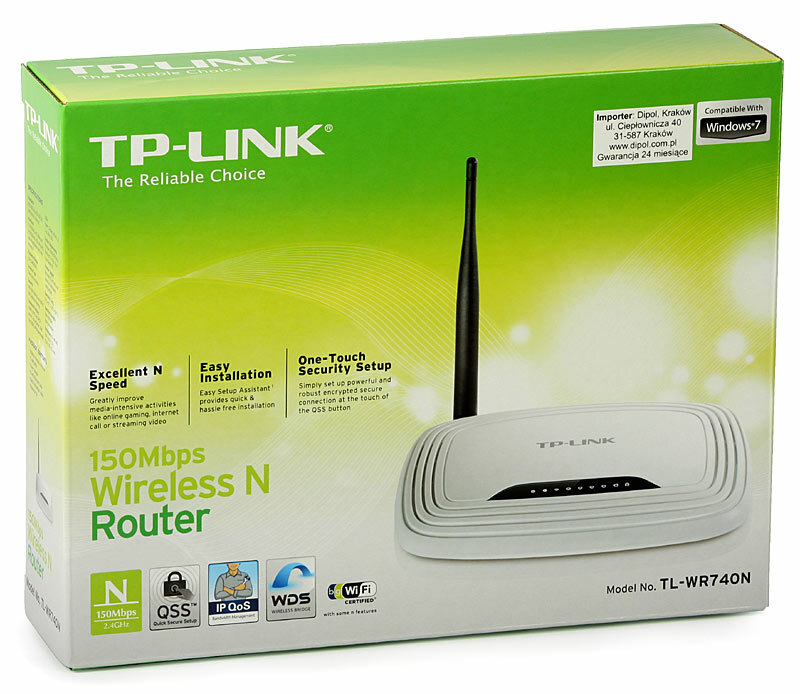 Is there any chance this to work on TP-LINK in the future ? I already emailed the wiire on the tests I've done. [P] WPS Manufacturer: Ralink Technology, Corp.
Now with relation to the TP-Link. I believe it may be vulnerable to another type of problem. It has the Atheros chipset, Linux runs and uses the hostap together with the / dev / random. But this firmware version for example has a problem in the generation of random numbers, it may be that this firmware version is with this problem. Every time I restart the modem, the seed to generate the random number is the same. So it is possible to make bruteforce on all dates, hours, seconds to find the current state of the seed. This makes it possible to generate future seeds to make bruteforce the pin. It may be that this problem is only in this firmware version, do not have other routers to test or compare and without having them in the hands is difficult to make the tests. But this problem certainly is present in many other models of routers. Today I met a router where the E-Hash1 and the E-Hash2 was identical and there needed to make a modification in pixie for him to do the bruteforce correctly. I will continue to develop and when I have more news come back to post.